Restore your natural smile. Call us today for a root canal consultation. Endodontics, more commonly known as root canal treatment, is normally required when the pulp of the tooth, which contains nourishing nerves and blood vessels, becomes infected or inflamed. 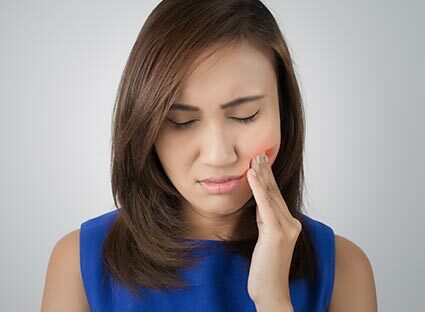 The inflammation or infection can cause a variety of problems; deep decay, the appearance of cracks and chips and often is the cause for repeated dental procedures on the tooth. If pulp inflammation or infection is left untreated, it can cause pain or lead to an abscess. Root canal treatment involves the removal of the infected pulp tissues from the tooth and is the first step in saving the tooth. The inside of the tooth is then carefully cleaned and disinfected with a special anti-bacterial solution. The canal is then filled and sealed with a rubber-like material called gutta-percha. Finally, the tooth is restored to full shape and function by either a permanent filling or a crown. Need a root canal? Stop putting it off and call us on 01925 768 111 today!